Aviation Jobs - Posts From All Over The World: Supersonic passenger planes without windows: Beat the sound from London to New York? Supersonic passenger planes without windows: Beat the sound from London to New York? The entire inner surface of the fuselage would be covered with high-definition, flexible displays, which would be used to conceal cabin utilities. Cameras could be mounted on the outside of the fuselage, which could then potentially give an uninterrupted display of the exterior. 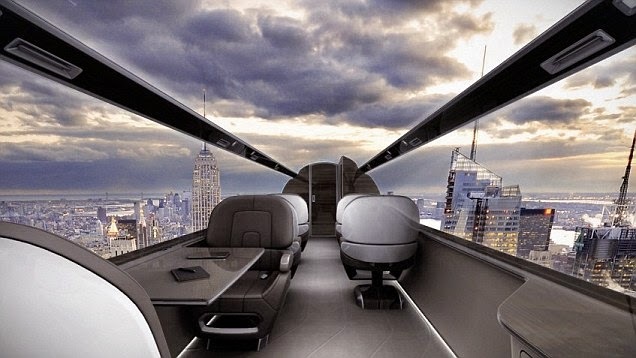 An emerging UK aerospace firm has released images of its windowless plane concept. Instead of windows, passengers will see display screens, which can show the environment outside the plane as well as films and video conferencing. CPI, based in northeast England, believes the idea will quickly take off as planes without windows are much lighter than planes with them, and as airlines battle to save money and fuel, cost is one of their main considerations. 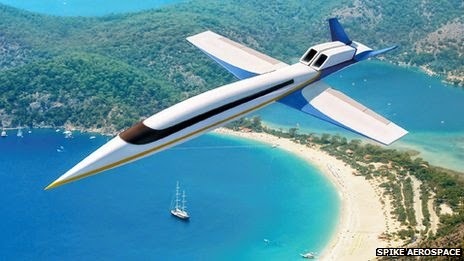 A lighter plane will burn less fuel and will produce less CO2 emissions, which will also be better for the environment. But the inner surfaces could also simply be used for lighting, which could be changed to mimic sunrise and sunset on long-haul journeys. A French design agency also released its first drawings of a windowless passenger jet in August: the Ixion Windowless Jet. 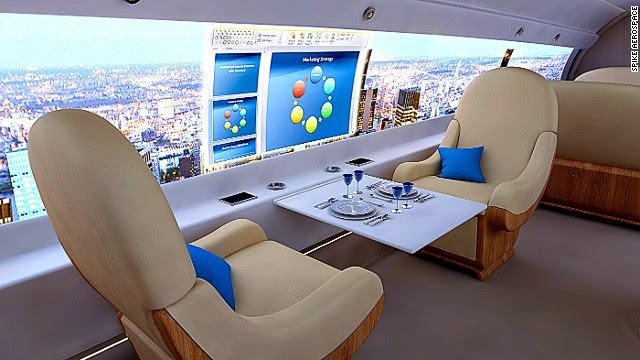 Although there are no firm plans yet to build the plane, with a growing number of companies committing their ideas to the drawing board, the development of the windowless plane may just be a matter of time. Spike Aerospace from the US is also aiming to re-launch supersonic flights between New York and London (the last commercial flight by Concorde was in October 2003) in 2018, and expects its aircraft to be built without windows. Although most of us are used to windows on planes, cargo planes have never had windows in them, just ask any soldier who has been airlifted in a military transport. And windows on planes have proven useful in the past. Even with the possibility of outside cameras on the fuselage, in the event of engine failure or loss of hydraulics and electrics, sometimes the only way to find out what’s gone wrong is to dash down the plane and look out of one of the windows, as any pilot would tell you.